Authentic Mexican-Spanish Fusion in Ladysmith, B.C. Maya Norte brings together the best of Spanish and Mexican cuisine. With authentic dishes and a buoyant atmosphere, Maya Norte promises to leave you wanting more. 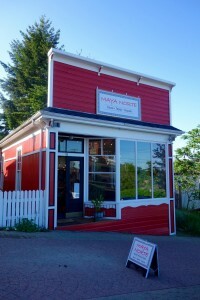 Maya Norte was created by Anne Manning and Peg Montgomery, former chef of Vancouver’s legendary Delilah’s restaurant. The restaurant draws inspiration from 14 years of living in Mexico and owning and operating the following restaurants: Restaurant Maya, Maya Tapas and the Upper Deck (on the Sunshine Coast). Join us for Tacos, Tapas, Tequila and much more. We hope to see you soon.